At the risk of making sure that no one comes to visit me ever, I'm going to tell you about my basement of horrors. Life has been a little hectic around here lately. I'm refinancing, which means getting an appraisal, which means trying to tidy up the house and fretting a lot. 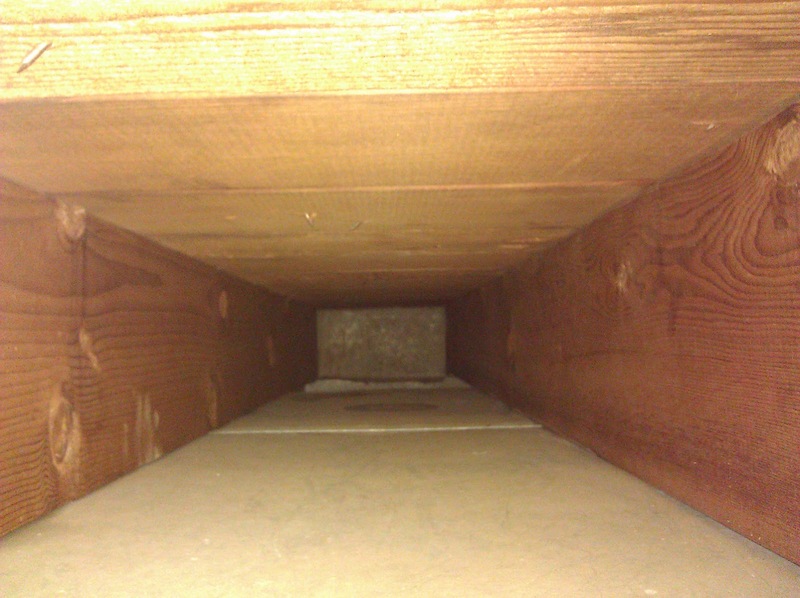 One source of stress was the basement, which has one corner that smells strongly of mildew. I've been worried that we have mold growing underneath the laminate flooring in there. My allergies have been unbearable for the last six months and while most mold is a nuisance and not a true hazard, I was starting to worry. Greg is only worried that the castor bean plant is now taller than him. Greg is 6'2'. Audrey is topping 7' now. I called Oregon Restoration and asked them to put in a bid to tear out the flooring and do mold remediation in there. Ryan came out and took a look and advised against tearing out the floor. He said that mold doesn't really thrive against concrete unless it has something to feed it, like wood or paper. The vapor barrier and the laminate don't really create an environment to support a bloom. He thought it more likely that there's mold on the back of the drywall. I was like, "Why don't I just pay you to tear out the flooring anyway?" and he advised to wait until the rainy weather returns, so we can find out if there's water coming in. Then they can solve the moisture issue and explore behind the drywall. I was so ready to give him a bunch of money and he just wasn't having it. In the meantime he said to call an environmental analyst to find out if we actually have a mold growth and what kind it is. They do readings inside and out to see if the readings are abnormally high inside the house. He also said to have the ducts cleaned, something I had been pondering last fall. He cautioned that the companies that charge $79 do a bait-and-switch where they quote you a low price, then once they are inside the house, claim they've found something awful and need $500 if they're going to do it right. He recommended Power Vac, so I called them out. 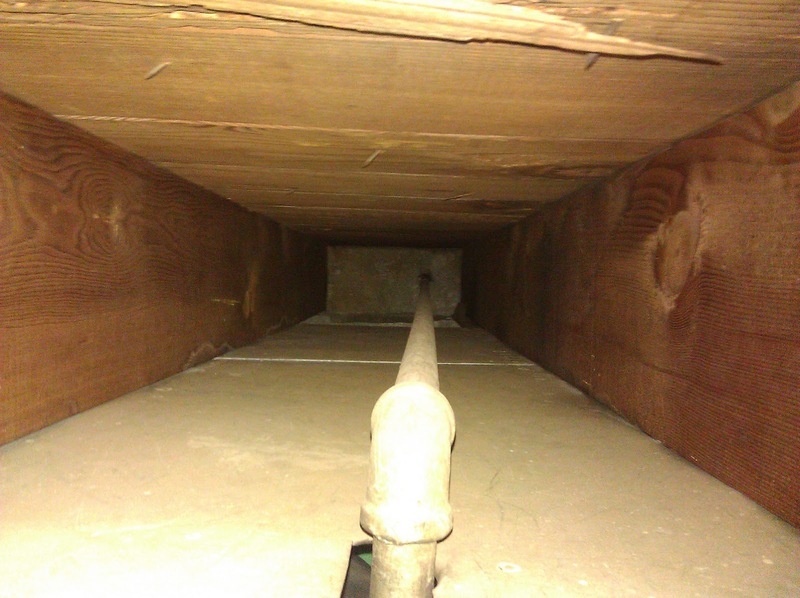 I really wanted to have my ducts cleaned last November but the Internet was so full of conflicting information. 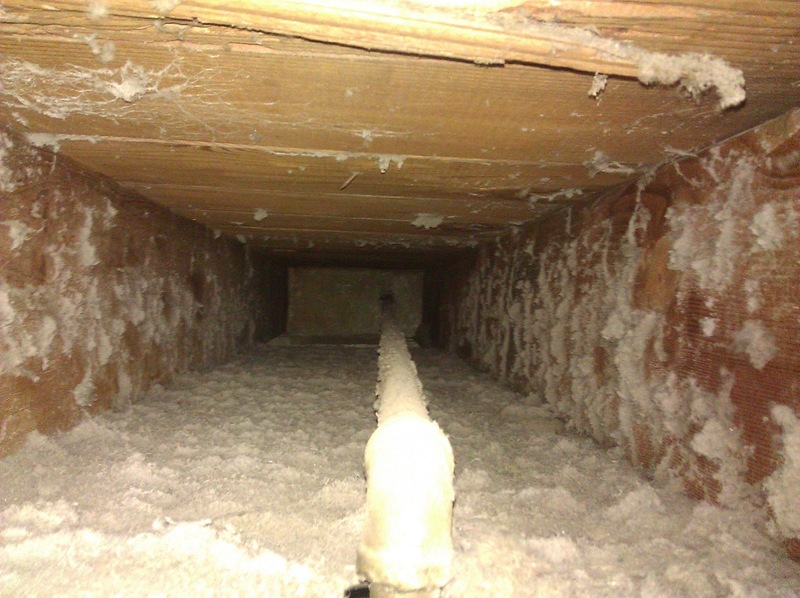 Ducts are too slippery to hold dust so duct cleaning is a waste of money! The mold retardants they use are more toxic than the dust! If you don't clean your ducts you'll get the Hanta virus! On and on. Well, I can officially confirm that my ducts can hold dust. A lot of it. The dude from Power Vac, who was incredibly nice, declared them "pretty grody." They run a pipe from their truck into your furnace, so all the stuff they are sucking out goes into a containment system outside the house. They didn't spray any chemicals into my vents, which I was pretty happy about. It is incredibly loud, what with the big sucking hose and the little hose hooked up to the air compressor to blow all the dust out. I'm not holding out much hope for this improving my allergies (I really think it's mold) but I am so glad I did this. They are running a 10% off special right now, so it came to about $300. It took about 3.5 hours to complete. They only recommend doing it every 5-7 years, so it really seemed worth it. I'll report back if my allergies improve. In the meantime I'm not going to show you pictures of the ENORMOUS spiders we've been finding in the basement because I'm already worried you won't come to my slumber party. My mom bought Otter Pops and my sister said we can borrow her Oiuja board and everything! Come on, guys. Those are some clean ducts. So sorry you are suffering with your allergies. I hope you get relief. Yikes...now I won't be able to sleep until I get our ducts cleaned...EEEEEKKK! I really hope it does help your allergies...even a little. Suddenly, I'm not surprised that we seem to have the dustiest house in the free world. 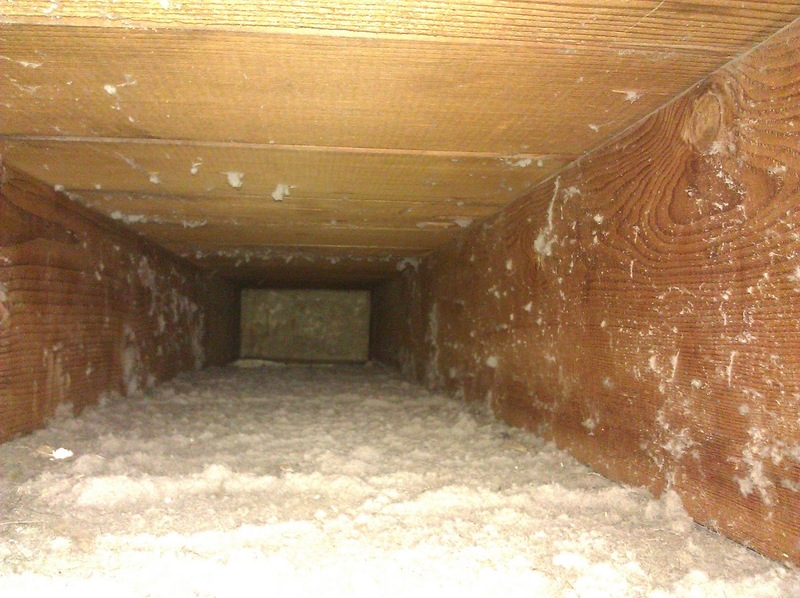 That is why I love the idea of cleaning the ducts in my house. It's the same concept as cleaning my computer keyboard with a paper clip or that compressed air stuff, only on a larger scale. Also, I would rather have your spiders than the two GIANT CENTIPEDES that I've found in my house over the last month. Actually, I would rather see your giant spiders battle my giant centipedes. The spiders would win. They always do. Oh god, centipedes are the worst! So fast, so many legs, ugh. I feel your pain--they are horrible. Thanks! Then we can play Light As a Feather, Stiff As a Board. Oh shoot, that wasn't my intention! At the risk of sounding super creepy, I just looked up your house on Portland Maps and it looks like your ducting was probably installed right before you bought the house--you should be good for another 2-4 years. Thank you! Hopefully the environmental analyst can figure out what's making them so bad. My daughter found much allergy relief by using dust mite proof covers on her mattress and pillows. It seems like this is a particularly bad year for sinuses. I really want to get our ducts cleaned now. Also this just inspired me to dust all the dustable surfaces in our living room, which I never do. I found a pill bug this morning, sitting outside the bathroom. BLEG. Those are some spanky ducts. Almost makes me wish we had some so I could feel that clean about our house. We have radiant hot water heat, so yay, no ducts to clean but boo, no air conditioning option either. Do you think the Power Vac dude could be induced to vacuum the source of my major dust issues - my two cats?